As a parent, you constantly want what’s best for your kid and you do everything possible to take proper care of them, ensuring your little one is safe, secure and comfortable. That is why when you first become a parent and have the little one in the house, it’s important to always monitor his activity, particularly when he’s sleeping. To do this effectively, you need to get a video baby monitor you can trust. 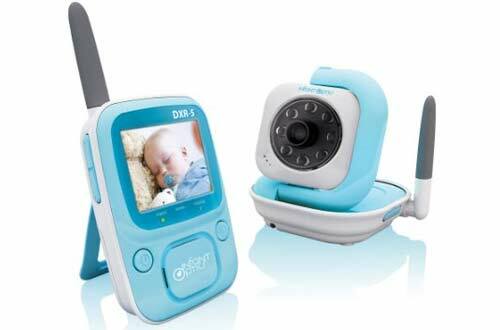 Video baby monitors truly come handy when parenting toddlers and infants. They’re wonderful devices that help in multi-tasking and allow you to enjoy peace of mind while you’re away from your child doing chores around your house or even taking a nap in a different room from your baby’s. 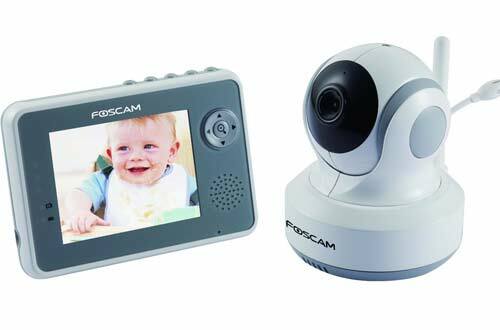 A good video baby monitor does not let your child get out of sight even when you’re away from him. The following is a review of the top 10 best video baby monitors. 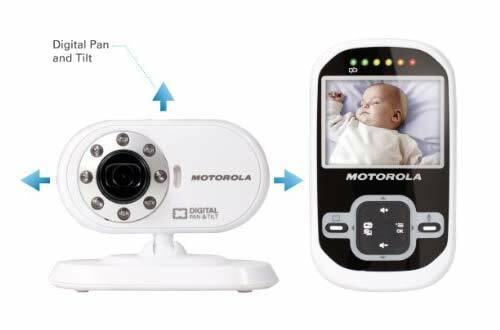 This is a very reliable video baby monitor specially made for parents with toddlers and babies. 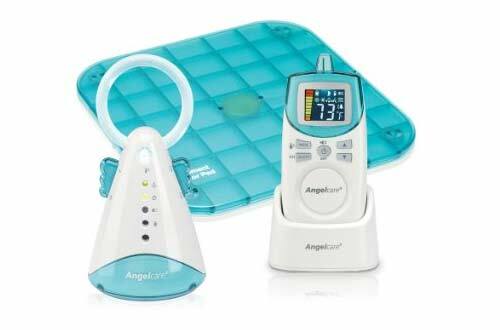 Coated in baby blue color, the device is handy and very lightweight, providing the parents living an active lifestyle with the convenience to monitor their babies wherever they are and whenever they want. Made with a 2.4 GHz static wireless transmission, this device is 100% secured and have the ability to cover long distances of 800 feet in open areas and 150 feet in closed areas whilst ensuring high quality video footage and sound. This is the world’s first ever monitor to feature interchangeable lens technology. It allows you to use wide-angle lens, optical zoom or normal lens. With the pan, zoom and tilt technology, sound-activated LED display, talk back functions, and a compact 3.5-inch display, this unit allows you to keep a very close eye on your child and ensures nothing escapes your notice, even when you’re away. Another appealing aspect of this unit is that you can add up to four cameras to the system. Also, the infrared night vision allows you to see your baby when the room is dark. This unit gives you confidence that your baby is resting safe and sound. It has a clear digital connection at 900MHz so that you can clearly hear even the quietest cry without the fear of interference from wireless network, phone or any other electronic device. With household coverage of up to 2,000 feet and special Graco vibration notification technology, you’ll always know when your baby needs you. This product combines movement sensing and quality sound in one unit. It’s perfect for the first-time parents who want an assurance that their baby is being monitored safely. The under-the mattress sensor pad has the ability to sense your child’s slightest movements. And, if there isn’t any movement detected for twenty seconds, an alarm will activate on the movement and sound monitor so as to alert you. The unit comes with a soft night light and has a range of up to 820 feet. This 5-inch video monitor comes with digital zoom and night vision for use during the day and even at night. The unit allows you to add up to three cameras to the system. This means that you can monitor three rooms at the same time, or capture multiple angles of the same room. Featuring a range of up to 600 feet, this unit comes with out of range and low battery indicators as well as power save mode and sound activated lights. 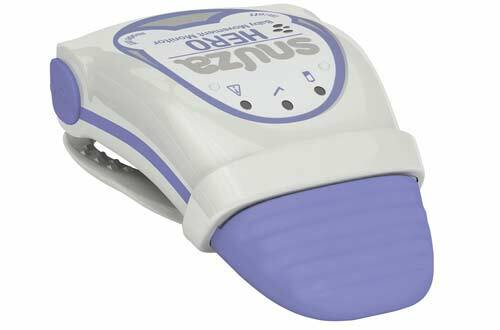 This portable and user-friendly movement monitor clips onto the baby’s diaper to make sure that the normal movement is maintained. The unit detects even the most minor abdominal movement and will alert you if your child’s movement is very weak or even fall below eight movements per minute. If there is no abdominal movement detected at all for a time period of fifteen seconds, the unit will vibrate. Usually, this vibration is enough to arouse your baby. If there is no further movement detected for another five seconds, an alarm will sound in order to alert you. This device is specially designed to help keep pets, babies, or elderly family members under close observation with a 3.5-inch LCD screen. 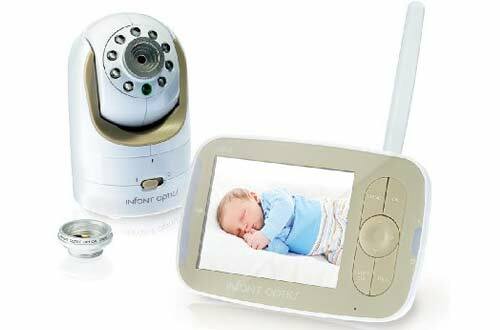 It provides you with a full color video all day long and allows you to watch every detail of your baby’s crib while working outside or in the kitchen. 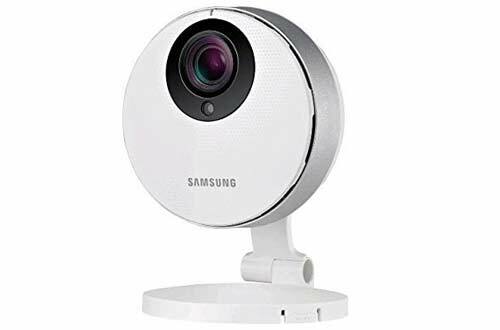 It also comes with a temperature sensor to ensure your baby’s comfort, a feeding timer, an automatic night vision, long signal range of 980 feet, and a two-way communication feature. This device uses a digital-based technology to keep a close connection between parent and child. The signal has a coverage range of 520 feet and a special alert mechanism that activates every time you or your toddler moves outside the area. 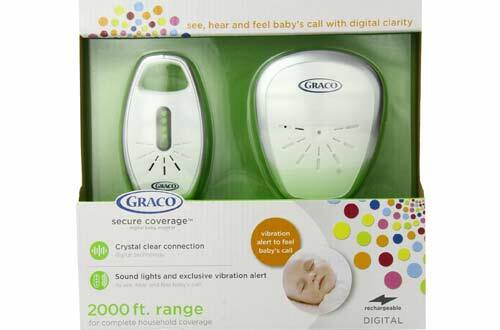 The alert feature has a considerable advantage over other baby monitors with signals that work the same way. 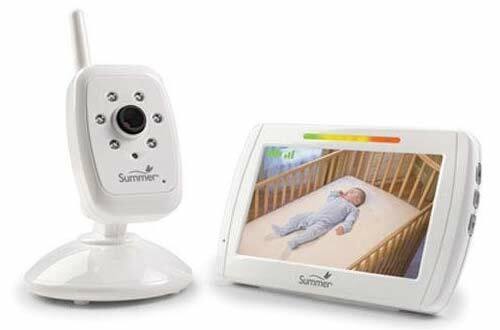 This unit makes it simpler than ever to closely keep an eye on your baby. It has a beautiful cylindrical design with a camera that’s about the size of a hockey puck, and a white plastic exterior. Infrared LEDs for night vision border the 1080p camera at the top of the front panel while the luminance sensor, which allows for night vision if the ambient light levels are too low, is situated directly below the camera. View your SmartCam through your phone, and set up audio and motion alerts so that you don’t miss anything. 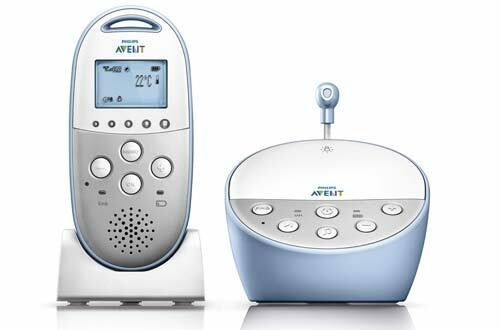 This is an advanced monitoring system for you and your child with night mode and temperature sensor. The DECT technology guarantees a dependable connection to your child and zero interference from other household appliances or transmitting products. The data encryption provides you with secure and private connection, while the adjustable temperature sensor allows you to monitor the temperature in your child’s room with instant alerts if it gets too cold or too hot.